It seems like ages since Australian entrepreneur Clive Palmer announced his plans to build a replica of the Titanic, called Titanic II, and “complete the journey” between Southampton, England, and New York City that the original ship never finished. Indeed, Palmer, chairman of Blue Star Line, the entity formed to develop Titanic II, unveiled his grand plans for the replica ship more than a year ago in February 2013, which coincided with the 100th anniversary of the sinking of the original Titanic. Slowly but steadily over the past year, Palmer has announced new partners and a testing program for a model of the vessel, though some skeptics have doubted his ability to complete the project. He also has vowed that Titanic II will have every modern amenity, 21st century technology, and the latest navigation and safety systems. 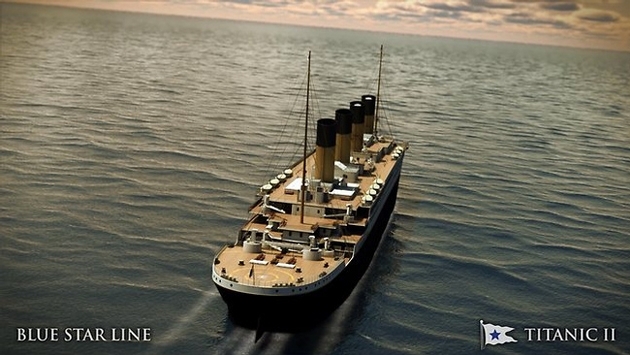 Now Palmer has revealed plans for what might just be Titanic II’s biggest source market—China. Blue Star Line said it has signed memorandum of understanding appointing China’s AVIC as its latest Titanic II project partner. AVIC will promote the Titanic II project and coordinate Titanic II sponsors from mainland China. CSC Jinling Shipyard, a Chinese shipyard where Palmer currently builds cargo vessels for his Australian mining interests, will build the new ship. Palmer said the memorandum of understanding with AVIC represents an opportunity for China to promote itself to the world via Titanic II. AVIC is part of one of the largest industrial groups authorized and managed by the People’s Republic of China Central Government. It offers shipbuilding project management and consultancy, design and engineering, shipbuilding and ship trading-related services. In April 2012, Palmer commissioned CSC Jinling Shipyard to build and coordinate the construction of Titanic II in China. Another company, Deltamarin, was later appointed begin preliminary work on the ship prior to CSC Jinling beginning construction of the vessel. 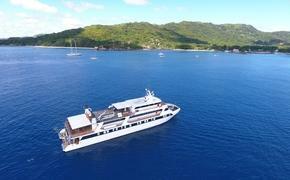 Deltamarin is a Finland-based ship design and marine engineering company. But the building of Titanic II is clearly a slow and deliberate process. According to Palmer, the ship won’t be launched until in 2018. She will then take her maiden passenger voyage retracing the original Titanic’s journey from Southampton to New York—minus the collision with the giant iceberg, we hope!